An HVAC system replacement can be a very costly expense. While these units typically last up to 20-25 years, they will need replacing at some point. The cost of replacing your HVAC unit can be expensive depending on the severity of needs and the duct system condition. This can be a difficult cost to make and can really put a damper on your budget. However, there are options available for financing your HVAC system replacement; you just have to know where to look. Read further to learn more about how to finance your HVAC system and reduce the financial strain it can cause. One way to help finance your HVAC replacement is to get financing through the HVAC manufacturer or through us. We can work with the credit companies to allow you to open up a charge account in order to pay for the unit. This allows you time to make payments on the unit. A home improvement loan is another option for financing your HVAC unit. These loans are made possible through the Federal Housing Administration and are possible due to the fact that an HVAC replacement is a type of home improvement, which is a qualifier for this type of loan. These loans are typically available up to the amount of $7,500. There are even pilot programs such as the PowerSaver program that is for individuals who choose the more energy efficient models. However, for the PowerSaver program you must own a home to be eligible. 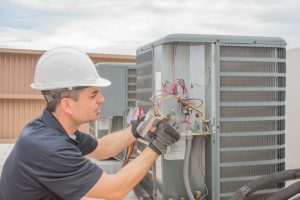 There are some grants available in order to help you finance your HVAC unit as well, although more difficult to obtain but certainly worth a try. There is a program for people with low incomes called the Federal Low Income Home Energy Assistance Program that provides limited funds to those with lower incomes to help replace or pay off HVAC units. Also, some local charities and organizations provide assistance, as well as government grants for the installation of energy efficient systems.